Welcome back to the “Hill” as we start the spring semester and the new year! I hope that you had a chance to watch the incomparable Marching “100” on New Year’s Day when they participated in the Tournament of Roses Parade in Pasadena, California. I joined alumni and many supporters who traveled to California for this historic moment and the band’s other appearances in the Los Angeles area. 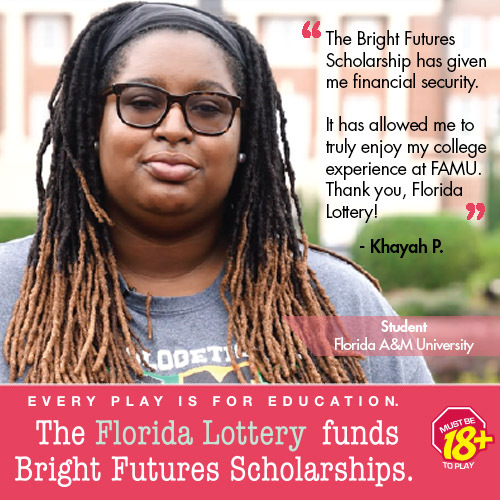 An estimated 60 million viewers witnessed our students’ awesome performance on national television and learned about FAMU. It is a great accomplishment for our band, students and the University. Another milestone for FAMU is alumnus G. Scott Uzzell’s appointment as the new President and CEO of Converse, Inc. Please join me in congratulating Mr. Uzzell. Read about these stories and the following in this edition of FAMU Forward. As we celebrate the impact of Rev. Dr. Martin Luther King Jr.’s life and works, Rattlers are as committed to helping others in need – whether it is due to a hurricane, financial hardship or a host of other life challenges. 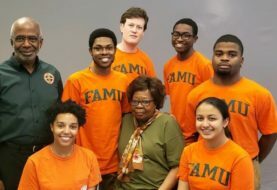 Our students, faculty, staff, alumni and friends understand sacrifice and service – traits that were exemplified during the Civil Rights era and throughout FAMU’s history. In closing, as we begin 2019, let us continue to work together to keep “FAMU Rising!” With your dedication, we will accomplish this worthy goal. Previous article FAMU Alumni Tackle the Racial Divide in Anticipated Film "Canal Street"